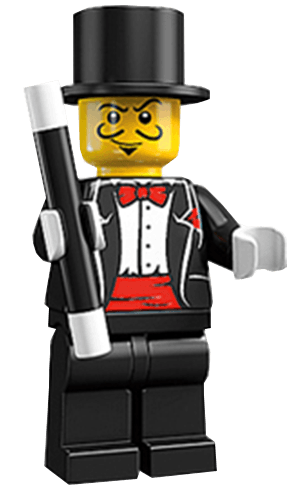 Denzil the Magician is an excellent option of a kids magician for an event including shopping centre shows, festivals and family fun days. Denzil is a professional kids magician with an excellent magic show with hilarious unique comedy and audience participation. He will keep visitors of the event engaged and his amazing show always draws a crowd creating a great atmosphere for all. 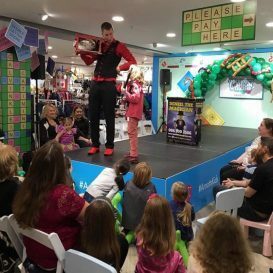 Denzil has performed at many shopping centres including Liffey Valley, Blanchardstown, Jevis Centre, Arrnotts and Brown Thomas to name just a selection of the wide variety Denzil the Magician has worked with. He has a variety of entertainment packages that he can offer if you are looking for in store entertainment for promotional days or open days. He is also a great act for festivals or family fun days as a kids magician to keep all of the children entertained. Denzil the Magician can setup a theatre show or he can simply walk around the event doing magic tricks and comedy to guests which goes down extremely well! Denzil caters for all ages from 1 to 101 so he gaurentees he will have everyone in his audience falling around laughing and enjoy the spectacular tricks. To Book Denzil the kids magician for an event like a shopping centre, festival or family fun day please get in touch to find out all of the options or entertainment packages available to you!